The hardest room to pack is definitely your kitchen. It is full of small drawers, items that go in sets, drawers and cupboards that all all angling to take as much of your time as possible. It can be overwhelming. Here in U. Santini moving and storage we devised a short list of tips that will help you get everything sorted, packed and moved in the most efficient manner. Sort, select and get rid of stuff – Before you move, select those items you’re taking with you and remove the items you’re leaving behind. Make three piles of items. One marked “New home” the second should be marked “Donate’ and the third should be marked “junk”. 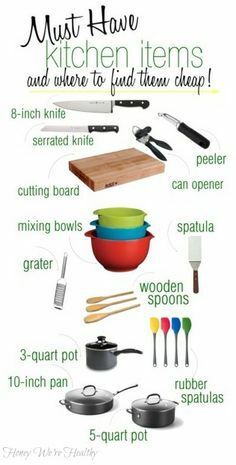 Go through every drawer and shelf and mark where every item should go. Pack up everything that is marked “New home”. Arrange to donate the “Donate” pile to a local shelter, food pantry or another local non profit organization. Throw the “Junk” pile in the garbage. Order packing materials – The kitchen contains some of the most valuable and breakable items you own. Starting from antique china to actual silverware, electric or electronic kitchen gadgets. Do not skimp on packing materials! Broken dishes can be hard to replace and damaged kitchen items such as toaster overs or microwave ovens are too expensive to risk packing in flimsy card boxes that were never meant to protect valuable items. You can save and get supermarket boxes for clothes, books etc. These will probably not be damaged by non-professional packing materials. Make sure the kitchen is packed in professional moving boxes. Call your mover ahead of time and arrange a shipment of chine boxes and other boxes you will need in order to pack your kitchen. Pack wine bottles and other containers with liquids in them carefully – Use a wine packing box for your wine or liquor collection. You can get these at your local liquor store for free and you can also order them from your moving company if you end up missing a box. Pack glass or plastic bottles containing liquids in the same type of box. Pack these items early in the process, as you will want them out of the way for the most part in the last days before the move. Mark all you boxes clearly – Make sure that you mark all of you boxes with the word “Kitchen” written with a non erase marker. You can also put color coded stickers on your boxes and designate a cretin color for your kitchen. This will help the movers unpack quickly and efficiently in your new home. Professional moving companies such as U.Santini moving and storage have done this before many times and will be able to help you move your kitchen safely. Saving you time, money and making sure that your move is efficient and cost effective. If you are looking for an NYC mover, a Brooklyn mover that with an A+ rating with the BBB, than don’t hesitate and call U.Santini Moving and storage. U.Santini moving and storage is a trusted moving and storage company, that is considered one of the best movers in Brooklyn. Don’t hesitate to call today! 718-768-6778. We offer $80 worth of free packing boxes if you choose to move with U.Santini moving and storage. Click the button to learn more. Moving is always stressful, and moving your office space, even if you are only moving to another floor in your building, is much more stressful than moving an apartment. Doing it in New York city is even harder than usual office moves. New York city has its own set of rules and regulation regarding business moving and planning is imperative. The prospect of losing valuable work time, prospects and opportunities adds an edge to the corporate moving process, and most business owners, no matter if they are small or large businesses need some help with office relocation. Office moves are always fun! Every business owner’s dream is yo be on vacation when the office moves to a new location. This will probably be an ideal scenario for most of us. Go Skiing while the moving company packs the old office, moves everything to the new space, unpacks and hooks us all of the computers and phones…. Come back on Monday to a new, fully functioning office. Unfortunately, most of us cannot afford the luxury of going on vacation during our move and we all need to do some work to make the move efficient, affordable and seamless to our clients. 1. You have to plan waaaaay ahead…. – If you intend to perform a small office move, then the minimum you should plan in advance is the location of the new cubicles and where do the phone and Ethernet connections are. Don’t leave anything to chance, even in a small move in the same building, or even the same floor. Make sure you visit the new space, take pictures and create a floor plan that details the specifics of the new office structure and layout. If you intend to relocate your whole business, hopefully because your business is growing… than your business relocation project is a much more complex affair that needs more planning. You will need to move phone systems, wired and wireless computer networks, PC’s, printers, office furniture, water coolers etc. This is a much bigger endeavor and needs a professional moving planner to execute properly. You need to have your business continuity in mind and find a trusted moving and storage company to perform this commercial move. You will need to create a detailed inventory list and verify that all of your valuable equipment was delivered in your new location. Consult with your moving company on the right way to prepare, pack and monitor the moving process. With careful planning, and depending on the size of your business, you can ensure that the actual move happens over a weekend. That gives you enough time to install and troubleshoot any technology that has migrated. If there’s any down time, it will be on Sunday and Monday, minimizing the impact to your clients and customers. The move day is very stressful and can provide challenges even for the most experienced movers and business owners. You might need to make photocopies in the middle of the night for insurance purposes, where do you find a place to do that, if none of your copiers is set up yet? Where will you get a new network hub, because your old one does not fit the new IT cupboard? These type of challenges are common in many corporate moves and being able to think on your feet is probably a must for a small business owner on the move. 3. A move is an opportunity to upgrade. – If your small business has grown its hand me down second hand office furniture and bulky CRT monitors, moving is a great opportunity to donate those to your favorite charity and buy new furniture flat-panel monitors. It’s also a good opportunity to take a hard look at the technology products you use and upgrade whatever needs upgrading. You will be rebuilding your networks and technology infrastructure from scratch in the new place, you might as well make sure that you get top performance from this infrastructure. You want to arrive at your new office location in even better shape to do business than you were when you left. 4. Anticipate down time – It usually happens. Moving can be unpredictable. The holy grail of business moving is never to have down time. Moving companies tend to work very hard to make sure that your business will be functioning at normal speed ASAP. But, many times different unexpected issues occur that are not necessarily up to you or to the mover. Sometimes the phone company can be late in hooking your new phone network, or the Internet provider takes more time to provide the internet service to your office. Delays happen. Make sure that you notify clients, partners, vendors and suppliers of your move date a head of time, via e-mail or phone. Let them know that your availability might be somewhat limited for a day or two, If you are moving your office long distance and will need to stay in hotels during the trip, make sure it can double as an office. 5. Use the best moving company you can afford. – Having a professional moving company with a lot of experience in corporate relocation might be the difference between a successful and efficient move to a slow, time consuming drudgery that many corporate emotes turn to. Get recommendation from friends and other business people about their experiences with different moving companies. Check the BBB ratings of companies that you are considering for your move and get a written, preferably binding, estimate for the cost of your move. Happy moving on your Holidays…! 1. Start preparing ahead of time – Start a “Moving folder” and file all your moving related paperwork in one location. Make multiple photocopies oft this folder. The folder should have all the paperwork relating to the move. Movers estimates, to do lists, lists of items you need to buy before the move. Children immunization certificates etc. New school phone and fax numbers, New doctor telephone number, addresses of post office and bank etc. 2. Make arrangements early on – A lot of people tend to move during the holiday season for various reasons. Some prefer not to lose days of work, and other transition to new opportunities in the new year. Holiday season is usually packed for movers. The earlier you can arrange for moving dates and lodging, the more likely you are to get what you want. 3. Plan ahead with some sort of celebration in mind -If you’ll be in a hotel over the holidays, look for a place that is planning a holiday celebration. If you know that you will be on the road during the holiday, than try to find an opportunity to stop in a rest area and spend some quality time with your family. 4. Keep you kids connected to their old friends during the holiday season – The kids are going to be new kids on the street, the new kids in school. The internet has given all of us some great tools to keep in touch with people who are geographically far away from us. Make sure your kids have their friends Skype IDs and let them Skype to wish their old friends “Happy Holidays” and play online video games with their olde friends. Encourage your children to stay in touch with old friends and their favorite teachers at school. teachers can offer words of encouragement and help cheer up your kids. Keep in touch via email and Facebook. 5. Opening moving boxes on Christmas day does not count as a present – You’ll need to do a bit of preparation in advance. Pack a separate trunk with small gifts that are already wrapped and a small artificial Christmas tree. When you get to where you will be spending the night, whip up an “impromptu” holiday with a tree, presents and some favorite snacks that you purchased in advance. Wrap all the presents to give the kids something to do and help them feel festive. If you don’t have time to do all of that yourself, you can shop online and get everything gift wrapped and shipped to your new destination. The holiday items will be waiting for you and your family. You just need to set everything up. Happy holidays to all your loved ones…! U.Santini Moving and storage is a trusted moving and storage company that has been moving New Yorkers for more than eighty years. If you are looking for a Brooklyn Mover than look no further. U.Santini moving and Storage is one of the premier movers in Brooklyn. When you are choosing a mover, or choosing a moving company, a Brooklyn moving company, don’t hesitate to call us at 718-768-6778 and ask for a free estimate for your move. U.Santini moving and Storage has an A+ BBB rating. The highest among Brooklyn Movers. We are moving and storage Brooklyn! Need a moving company Brooklyn? We are here to serve you. From 1970 to 2010, the average size of a new house in America has almost doubled. Yet in recent years, many are redefining their American Dream to focus on flexibility, financial freedom, and quality of life over quantity of space. These self-proclaimed “Tiny Houses” live in homes smaller than the average parking space, often built on wheels to bypass building codes and zoning laws. The tiny house movement is growing as shown in the independent film “Tiny, a story about living small”. The data shows that even though these houses are a tiny, (pun intended) portion of new development, they are growing in numbers. Are you considering simplifying your life and moving to a smaller place? Selling a house and moving to an apartment? Kids already left home and you would like to have a simpler more economical life style? You don’t have to build a tiny house as the people in this video did… But, uncluttering and getting rid of unnecessary stuff is certainly a must. Here are a few suggestions that we came up with through the years that will help you simplify the process when you move from a large space to a smaller one. If you intend to move to a smaller space and a simpler lifestyle than now is the time to get rid of excess baggage (literally!) and pare down to the essentials. • Take a walk through your house or apartment and evaluate everything you come across (furniture, kitchenware, food, etc.). Ask yourself if you’ve used it in the past year and, if so, how often? Be honest with yourself. If you think you could live well without it, out the door it should go. Make a note of it. • If you find things that are very hard for you to get rid of, get someone else to do it for you. Have your wife/husband/ friend or family member go through the pile of “must have, but never use” and decide for you what to do with each items. Sometimes the opinion of an unbiased person can make he decision easier. Try to get rid of most of these items. Put the remaining items in storage. If you don’t need or use them within 6 months, give, sell or throw them away. 2. Sell everything you don’t need – Think carefully where to list your stuff for sale. Knowing the differences between the different platforms might be the difference between making money or breaking even. Check out this informative short video presenting different apps you can use to streamline and expedite the sale process. 3. Measure your furniture – You will need to know if your furniture will fit (or not…) in your new place. Measure large items such as beds, sofas, dressers etc and have a list of all items measurements. You will also need to get the room measurements of your new space. Sometimes the current owners of your new place have floor plans that they can provide. If not, get their permission to measure all the rooms beforehand. Once you have these measurements, make a floor plan using your furniture’s measurements. This will give you a much better idea on what you can keep and what will have to go. 4. Move large items first – Move the large items first into each room. This will give you a better indication of where the smaller things will go. Try not to fill the rooms with unsorted furniture and boxes. Try to sort things as quickly as possible so you don’t have to navigate through small rooms littered with boxes and stacks of furniture after a day of moving. Place furniture in the rooms as you go, according to the plan you made earlier. If you have done your homework correctly, your big items should fit in nicely and you will only need to deal with unpacking the boxes and arranging your smaller belongings in your new place. 5. Enjoy your new (tiny or not) place – You made the leap and entered the world of living small. You no longer have to worry about the financial burden or time draining tasks of maintaining a home too big for your needs and you have simplified your life by surrounding yourself with only those things that are most important to you. Enjoy! 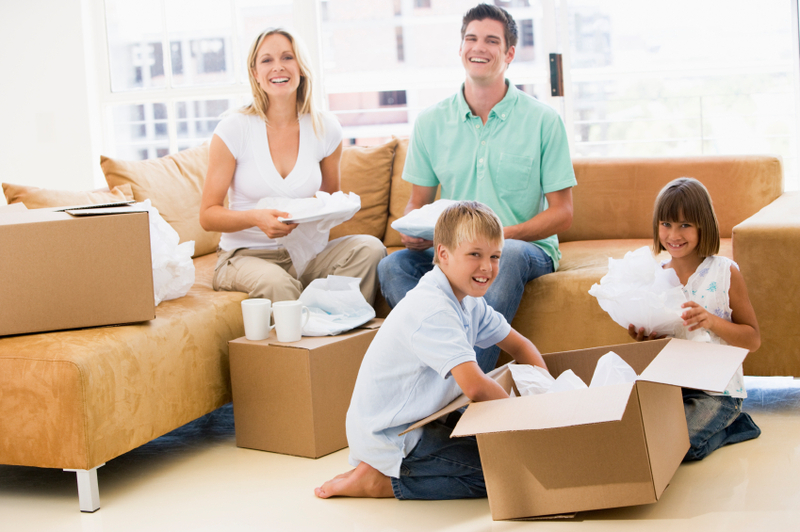 U. Santini Moving and Storage is a family owned, Brooklyn moving company with vast experience in moving our clients into any kind of apartment or home. U. Santini Moving and Storage is one of the premier movers in Brooklyn. When looking for a Brooklyn mover, or moving and storage Brooklyn based services. Don’t hesitate to call a trusted moving and storage company at 718-768-6778 to start organizing your move. If you are looking for storage and moving in Brooklyn, moving services in NYC, or any kind of moving services in Brooklyn or around NYC, U.Santini Moving and Storage is the company for you. Check out our $100 off coupon off your move. Let’s get started today!